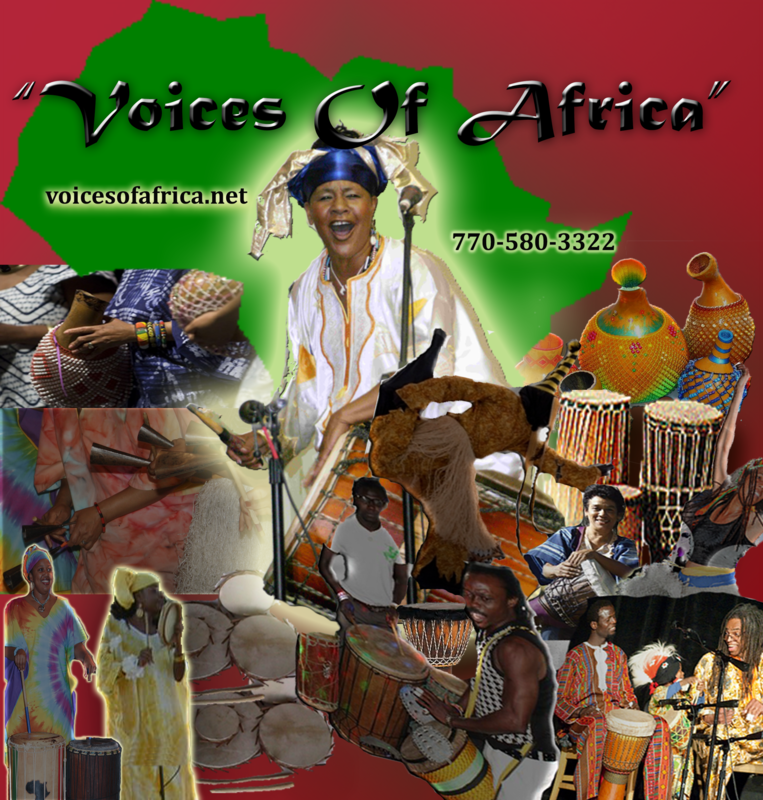 “Voices Of Africa” Is available for Black History Month Programs. 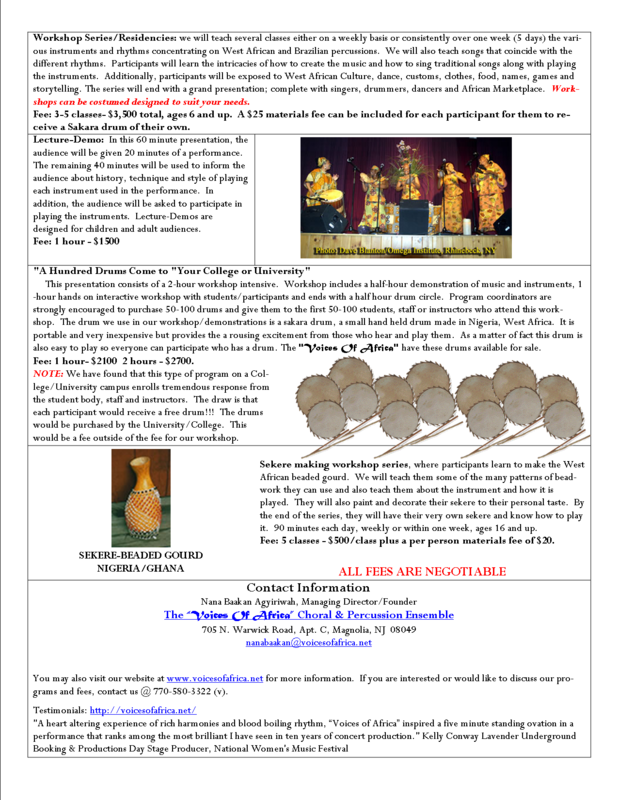 Bring us to your community centers, schools, churches, colleges and universities. We will travel to where you are! Enjoy the soul-stirring Magic Of Drums. 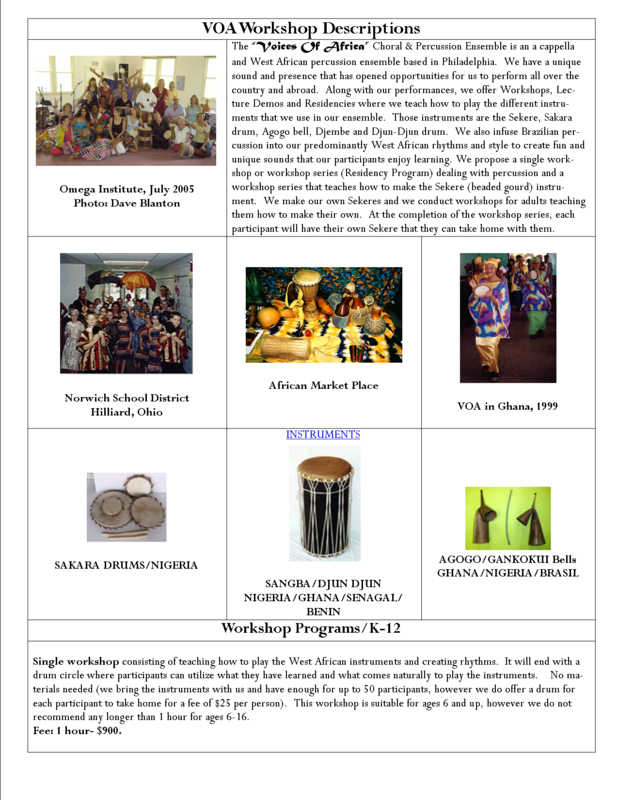 The “Voices Of Africa” Choral & Percussion Ensemble is an Unique Artistic Collective of Artists dedicated to West African percussion Cultural Music. This music includes percussions, dance, songs and storytelling. VOA is an ensemble based in Philadelphia. 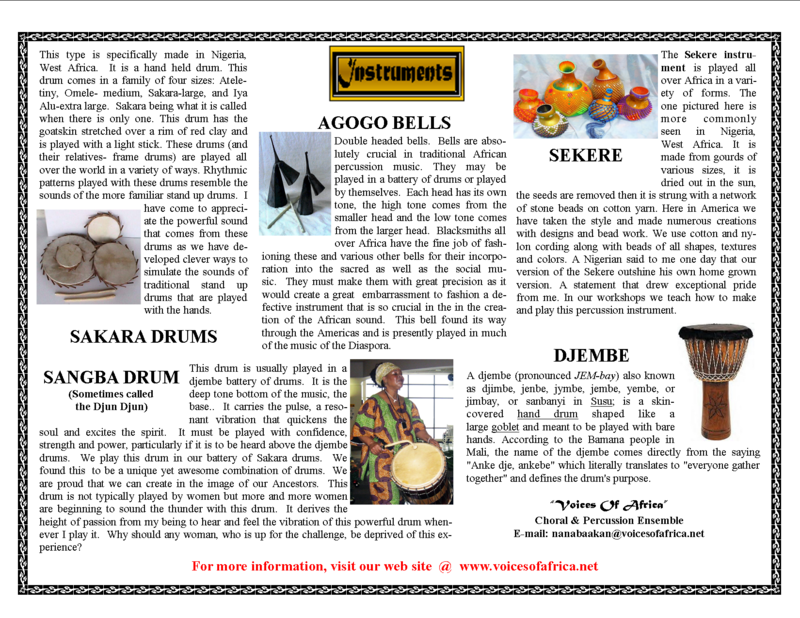 We have a unique sound and presence with instruments are the Sekere, Sakara drum, Agogo bell, Djembe and Sangba/Djundjun drum and various other hand held percussion instruments. They are a vivacious, performing arts ensemble and have performed to standing ovations at the Women & Earth Conference, Ghana, West Africa, The Kennedy Center for Performing Arts, Washington, D.C., the National Women’s Music Festival and many other venues throughout the country and abroad. 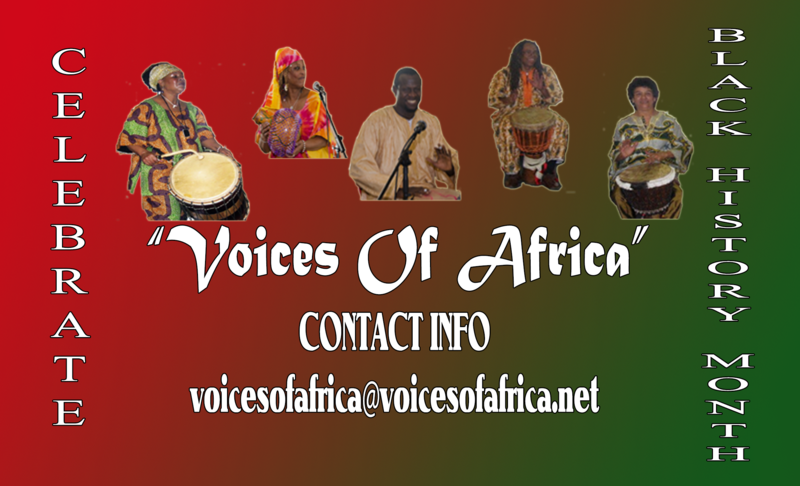 The “Voices Of Africa,” share the joy of their music, which spans the African Diaspora, through traditional African and African-American songs, message music, gospel and inspirational percussive rhythms. They have been together since 1990. YouTube Favors Larger Channels But It’s Really The Slow Fizzle for Smaller and Newer Ones.